Maree Silver's poetry touches every sense. In Threshold - a miscellany, Maree creates imagery that is uniquely Australian. Talks lean rustily; corellas squabble; frogs croak challenges from the billabong; the citrus perfume of lemon-scented gums infuses nostrils while earthy ochres blur into cellophane sky. Raised in the Wimmera, Maree recalls childhood memoires of desert, plain and river. They come to glorious, descriptive life through her poetry and exquisite photography, and continue to live in harmony with poems of suburbia, family and adulthood. 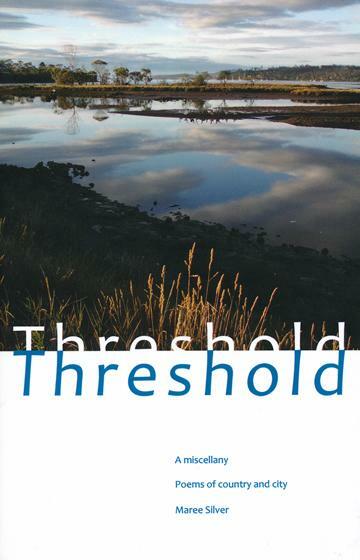 Threshold - a miscellany - poems of coutnry and city will connect you to the Australia of the Dreamtime and the Australia of today.